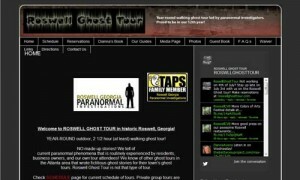 Roswell Ghost Tour is a company owned by my family in Roswell, GA. They provide Ghost Tours around the town of Roswell and speak of its history, and some of its ghosts that still haunt the town today. Originally changed this site from FrontPage to WordPress, and now we do ongoing work for this site. The theme has been customized by Visionquest, but the content is the client’s.